Asset Protection and Consumer and Business Bankruptcy Law -all of southern Idaho. Experience and expertise matters. 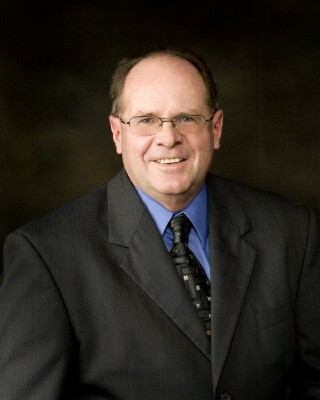 John O Avery is Board Certified in Consumer Bankruptcy Law by the American Board of Certification abcworld.org. At Avery Law we're here to help! We are committed to provide you the highest quality of legal services in the bankruptcy and asset protection field humanly possible. Your call to one of our offices will be promptly answered by one of our experienced case managers in a pleasant and caring manner. Once they get your contact information, they will enter it into our central data base, elicit the general circumstances of your case, then put you through to one of our experienced,caring attorneys,if they are available. If not they will coordinate your availability with our attorneys availability and schedule an in person free consultation with you at our local office near you, or if you prefer by telephone or video conference. When you leave you will have a good understanding of how the bankruptcy process and procedure works, the information you need to provide to the Avery Law team and a good idea of how a freshstart will look for you and how our team of professionals will get you there as quickly as you like, and with minimal worries. Why won't you worry? Because Avery Law has walked this walk thousands of times before, and knows the judges, the trustees, the creditor's attorneys, the LAW, and all the possible pitfalls that we unfortunately see others trip over on a weekly basis. If you are straight with us with the facts you will have nothing to fear, your walk through the bankruptcy process will be well-lighted and have minimal complications. After you have provided the information required, either in writing or through our convenient on-line drop-down menu, your case manager will prepare the initial draft of the required petitions, schedules, and in the case of a Chapter 13 a draft of a Plan ready for review by your attorney. Avery Law will then schedule a "signing" appointment where you will again spend personal time one on one with one of our experienced attorneys, who has by now independently used due diligence in verifying your information from outside sources, and together you will apply the facts with his knowledge of the law and finalize your documents in order that you can attest they are true and correct and that your attorney can attest to the best of his knowledge they are true and correct, as required by federal bankruptcy law. This appointment typically takes 1-2 hours. Your personal, experienced and friendly case manager is always available for assistance along the way for the routine matters and you have two attorneys who are more than happy to answer your legal questions. We're here to help so please don't fret and worry needlessly, we're anxious to provide answers to whatever may be worrying you. Your case will be electronically filed on the day you've directed. About 30 days thereafter your attorney will accompany you to the Meeting Of Creditors. The trustees require certain information before this meeting and sometimes after it, so throughout this process you'll likely be working closely with your Avery Law Case Manager. In the case of a Chapter 13 your attorney will represent you at a Confirmation Hearing, usually 30 days after the Meeting of Creditors , where the Federal Judge will personally consider and confirm or deny your Plan. Before that date Avery Law will be working diligently with objecting creditors and their attorneys and the Chapter 13 Trustee to get your Plan confirmed. This usually means at least one monthly in person one on one meeting with the Chapter 13 trustee and numerous phone and email interchanges. In complex cases it is not unusual to have several Amended Plans and this process is repeated each month. Avery Law is by your side and keeping you informed all the way. No other law firm in Idaho is even close to our Chapter 13 numbers. Eventually you will receive a Discharge Order, sometime after 90 days post-filing in a Chapter 7 and after Plan completion,3-5 years in a Chapter 13. At that point all the derogatory information will be stricken from your credit report and Fannie Mae and Freddie Mac will buy mortgage applications as soon as two years,and if you have a job, cars probably immediately after entry of the discharge order. As required we will protect our clients from creditor overreaching, strip junior liens on mortgages, avoid judgment liens, bring or defend Adversary actions, and negotiate reaffirmation agreements. Avery Law's goal is to do all of the above more courteously, more professionally,more competently and frankly provide our clients the very best legal representation and service that can be found anywhere. We invest in our people to regularly further their education and improve our systems. We provide the very finest in service at very reasonable prices and have time payment plans for any budget. Remember, at Avery Law "We're here to help!". At Avery Law we bring 30 years experience in consumer and business bankruptcy in southern Idaho to those in need of our assistance . We offer superb services at reasonable prices. We have over 3000 cases successfully filed and discharged. Attorney Avery is currently the only Lawyer in the state of Idaho who is certified through American Board of Certification. The case managers (paralegals) in each of our offices have over 10 years of bankruptcy case experience. We utilize the latest technologies to communicate interoffice in order to assist you, meaning your attorney is readily available to assist you. Our firm motto is "We're here to help." We have payment plans for those with the most modest means. We also have the skills, knowledge and expertise for the most complex cases. If we can't do it no one can. EXPERIENCE and PROVEN COMPETENCE. There are lots of lawyers but none who are serving more satisfied clients in the consumer bankruptcy field in southern Idaho year in and year out than Avery Law. We have put together the best combination of seasoned, knowledgable, wise, and proven competence of John Avery in his 30th year of practice with the enthusiasm, competence, talent and energy of Ryan E Farnsworth. The partners coordinate, consult and share their thoughts with each other on each case to insure you go through the normally worrisome bankruptcy experience with confidence and trust knowing that your experience will be with minimal troubles and difficulties. A good analogy is brain surgery. Do you want a surgeon who occaisionally does the operation you might need or would you rather go to a seasoned team who does this surgery day in and day out year after year? John and Ryan are supported by an equally experienced and friendly team of case managers (paralegals) who work together as your support team, each with over 10 years bankruptcy experience. Each of the team members at Avery Law John , Ryan , Chris, Lisa, and Caty are helpful ,caring and easy to talk to. We strive to meet your highest expectations. Indeed, our motto is "We're here to help!" Avery Law was founded and is owned and operated by John Avery, an Idaho Falls and Boise based bankruptcy attorney and a member in good standing of the Idaho State Bar since 1985 (ISB #3407). John was born and raised on a diversified family farming/ranching operation in Southern Idaho. He graduated from Bonneville High School in 1969. He then completed an Associate Degree in Business from Ricks College in 1971, and a Bachelor Degree in Accounting with a Minor in Management and Economics from Brigham Young University in 1973. John eagerly returned to farming and ranching, specifically cattle, hay and grain, until 1982 when he entered the University of Idaho College of Law. John received his Juris Doctor Degree in 1985. John continues to live and work on his family farm. During the past 30 years as an Idaho bankruptcy attorney, John has helped thousands of Idahoans with bankruptcy and related credit matters. He is also highly skilled in other legal matters, such as Personal Injury and Business law. He is a member of the Seventh District Bar Association, the Idaho Falls Bankruptcy Bar, The National Association of Consumer Bankruptcy Attorneys, American Bar Association, American Bankruptcy Institute,Idaho Trial Lawyers Association, National Academy of Chapter Thirteen Trustees, Idaho Bar Association Bankruptcy Law Section as well other organizations. John recently passed the American Board of Certifications test to become certificated as a Consumer Bankruptcy Specialist. 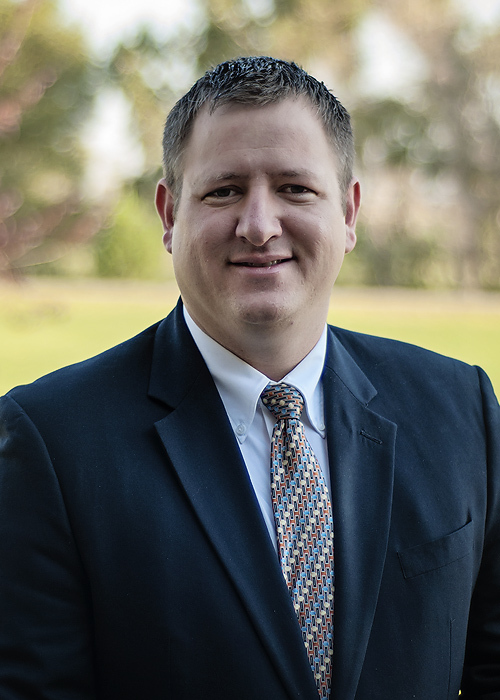 He is currently the only Attorney in the state of Idaho to be certified through the American Board of Certification, which makes him the only board certified Consumer Bankruptcy Specialist in Idaho. He was recently recognized in Nov 2013 by The Legal Network as "Top Lawyers In Idaho". The firm is a member of The Better Business Bureau , rated A+. As an Idaho bankruptcy attorney John and his team of legal professionals provide the highest quality of legal representation available at the lowest possible cost. John maintains four offices in Idaho to serve your legal needs; Idaho Falls, Twin Falls, Pocatello, and Boise. John O. Avery is currently the only Attorney in the state of Idaho certified through the American board of Certification.